This week’s guest post is from Parenting Specialist Rachel Bailey on why you shouldn’t hide your “weakness”. Many of us know that running a successful business is about solving a problem for our clients or customers. But when I started my business, I was the one with the problem. At the time, I was working in a private practice as a psychotherapist — mostly for adolescents and some children. What I noticed, over and over, was that parents of my clients kept asking me how to solve “everyday” problems: How to get their kids to do their homework, how to get them to get ready more quickly in the morning so they could get out the door; how to handle meltdowns, tantrums, and other big emotions; how to handle kids’ disrespectful attitudes and behaviors toward others, or even their mean comments toward themselves (“I’m stupid” or “no one likes me”). So I started doing workshops for parents, and these workshops were very well-attended. Parents wanted MORE practical tools. When they started asking to meet with me for individual consultations to help them parent more effectively, I wanted to help. I wasn’t sure I could help them. It wasn’t that I didn’t have the background or experience. Even at that point, I had a Master’s Degree in clinical psychology and had had years of experience motivating better behavior in children, teens, and adults. It was because of what I observed when I watched other “parenting experts” out there. Those other experts were calm and loving. They smiled a lot.They seemed like they were the most patient people in the world. I am not calm. I am not sweet. I am not naturally patient. I am reactive. I don’t like loud noises or chaos. I like to feel in control and don’t always handle it when I don’t feel that way. By the time I considered specializing in teaching parenting tips and strategies, I had a one child and knew that I could never be one of those “you CAN have fun with your kids all the time!” people. I loved my daughter to pieces, but I couldn’t be fun and sweet to her all the time. I thought that my “weakness” was that I couldn’t consider myself a “parenting expert” when I didn’t love parenting all the time. But when I met with the clients who were asking for consultations, I realized something: I was a lot like the people who were asking for my help. The parents who were coming to me also weren’t born to be parents. Slowly I realized didn’t have to hide the fact that parenting doesn’t always come naturally to me either. Eventually I decided to actually talk about (what I saw as) my weakness. I started telling parents that some of the strategies I was teaching them – for example, how to stay calm in the moment when your child is not listening to you — I couldn’t even implement all the time myself. And that that’s OK. But I also give solutions for how to handle it when you’re not Mary Poppins: I give solutions for how to handle your parenting mistakes. I give solutions for how NOT to have to deal with kids’ behaviors in the moment if it’s hard to stay calm. In my online Parenting Academy, where I provide ongoing support for parents, I create space — and even scheduled events — where we can talk about what parenting is REALLY like… because I think we all benefit from being real and recognizing that we ALL have “weaknesses” as parents. I’ve been a “parenting expert” for almost a decade now. A couple of years ago I realized another pattern that I was seeing over and over – that parents are having a hard time implementing some of the solutions that we discuss because they’re too busy and overwhelmed. I realized this was something I MUST address if I want to help parents get the results they want. Now, did I study “time management” and “reducing overwhelm” in school the way I studied clinical psychology? No. Am I letting that stop me? No. I am about to launch a new part of my Parenting Academy called “Overcoming Overwhelm” so I can help parents improve their children’s behavior, resilience, and confidence by managing their own overwhelm first. I’m not perfect in this area myself… But I’ve realized don’t need to be. 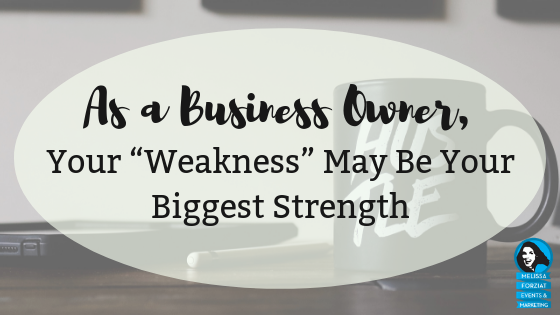 As business owners, we don’t have to hide our weaknesses. I think we need to tap into them so that we understand and can better serve the clients or customers who need us to be… less than perfect. 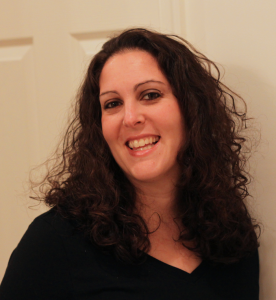 Rachel Bailey is a Parenting Specialist who has been serving families in Northern Virginia for a decade. Besides being a mother of two, she also has Master’s Degree in Clinical Psychology, a certification in Positive Discipline, and has provided services as an ADHD Coach, in-home mentor, and therapist. These days Rachel provides parents with realistic tools for improving children’s behavior, resilience, and confidence. She is also committed to conquering the busy-ness and overwhelm that prevents us from being the parents we want to be. You can find her at RachelBaileyParentingAcademy.com, Rachel-Bailey.com, on Facebook, Youtube, and Instagram.